The Grain Millers Association of Zimbabwe(GMAZ) has assured the nation that it is working with Government to avert bread shortages with the association having already secured 30 000 tonnes of wheat on an instalment pre-payment arrangement. The wheat is expected to start arriving in the country next week. The national wheat requirement is 38 000 tonnes per month and the millers had around 26 500 tonnes by yesterday. GMAZ also intends to buy 120 000 tonnes of local wheat from the Grain Marketing Board and will soon start paying for the commodity. Addressing journalists yesterday GMAZ chairman Mr Tafadzwa Musarara yesterday said Government, the Reserve Bank of Zimbabwe and millers had put in place measures to speed up the shipment of wheat into the country starting next week. He said GMAZ had successfully negotiated for the movement of 30 000 tonnes of wheat to Beira under the instalment pre-payment arrangement. “The final payment on this shipment will be made tomorrow (today) by RBZ and the final shipment of the same to Zimbabwe will commence immediately thereafter both by rail and road. GMAZ will also deploy 100 trucks to complement rail and speed up the delivery process,” he said. Mr Musarara commended Government for coming up with Command Agriculture, which has seen farmers achieving the highest wheat yields since 1965. “Command Agriculture wheat production is by far the biggest wheat import substitution intervention since 1980. This programme must continue. He said the price of imported wheat into Zimbabwe had increased over the past 90 days from $375 per tonne to $415 per tonne. The margin of price change has become too big to absorb, leading to nominal price increases of bread and self-raising flour. He said foreign currency shortages were negatively impacting on the milling industry. The industry owes foreign suppliers of wheat, rice and salt $87 million. The debt is accruing by $400 000 monthly in interest creating inflationary pressures through product pricing. “We await with bated breath the full text of the proposed currency reforms and hope that our outstanding nostro liabilities will be ring fenced against exchange losses,” he said. He said the national wheat stocks remained below the national requirement with about five mills having suspended wheat milling owing to unavailability of the cereal. 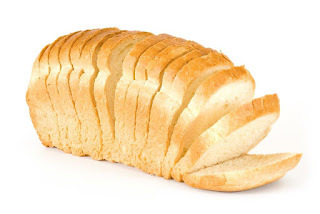 “However flour supplies to major bakeries are being prioritised because they constitute 90 percent of market share and have national geographical spread,” he said. Mr Musarara also said the ongoing adverse El Nino induced weather in the western world was negatively impacting major global wheat exporting countries such as Germany and United States of America.